CENARIWOOD - ROUPEIROS E COZINHAS UNIPESSOAL, LDA., With NIPC 509 037 895, headquartered at Rua das Boiças S / N, Quinta da Torre, Quinta do Anjo - Palmela, here after refered to as CENARIWOOD, has exclusive ownership of this website (website www.cenariwood.pt). This policy governs the conditions of access and use of this website. CENARIWOOD informs that, at any time, this Policy may be subject to change or revision, being any changes or revisions duly published, disclosed and communicated on our site. CENARIWOOD undertakes every precaution to ensure the protection and security of personal data, in accordance with the General Regulation on Data Protection, thus ensuring that all its Customers, Users and Visitors know at all times the rules and principles relating to the protection and processing of your personal data, making every effort to ensure compliance with the rules and procedures set forth in the applicable legislation and committed primarily to Your Privacy. Personal data means information of any nature relating to a particular identified or identifiable individual. CENARIWOOD is responsible for collecting and processing the personal data of its Customers, Users and Visitors. CENARIWOOD is committed to protecting the privacy of children and does not intend to collect personal data from children under the age of 16. If you are a child under the age of 16 and attempt to submit your registration, it will be rejected and the child will be advised that we do not accept registrations from children under the age of 16. We encourage parents and guardians of minors under the age of 16 to regularly monitor and supervise the use of electronic mail and other online activities. Personal information such as your name, address, e-mail address and phone contact may be requested. The information we have identified above may be requested when completing a contact form with CENARIWOOD for the purpose of requesting a quote and for receiving e-mails about CENARIWOOD information and within the strict scope of the context of its activity. CENARIWOOD informs all its Customers, Users and Visitors that it uses "cookies" to gather information about their visits to our site as well as to improve their experience. If you complete a budget request form, your data will be processed so we can respond to it. If you submit a request for information, your data will be processed in order to respond to your request. If you submit a request for information, CENARIWOOD processes the necessary information to contact you, with name and e-mail address, phone contact and the content of the information request. If you submit a request for a budget, CENARIWOOD processes the information necessary to contact you and to respond as accurately as possible to your request, such as name, email address, contact number, address and contents of the "comments" box ", content of the request and response to it. The main purpose of the information collected is to respond to requests for budgeting and respond to requests for information. They also have the purpose of the electronic dissemination of contents about our products, goods and services. The sending of this information only occurs when the data subject submits that they want a budget request and / or receive information from CENARIWOOD. CENARIWOOD shall keep such personal data for a period of 5 years from the date it submitted its request for a single budget or information solely for purposes of administrative management of budgeting and information for the purpose of contact with the potential client and registration of orders. For more information about how CENARIWOOD treats and processes the personal data of its Customers or Users, or to clarify any doubts, you may send us your comments via email or send your communications to the address we have indicated above. The information you provide to us when you visit our site is protected by the implementation of various security measures, namely by means of conditional access, and by safeguarding the confidentiality of information. However, when providing personal information online, there is a risk that third parties may intercept and use this information, so in terms of the security of any information you disclose online; you will do so at your own risk. If you are a user of our site, please be aware that CENARIWOOD has taken the necessary technical and organizational measures to adequately protect your processing data. Thus, all Clients, Users and Visitors of the CENARIWOOD website have the right to correct, supplement, delete the data in whole or in part if they are incomplete, incorrect or irrelevant for processing purposes. Also, please be aware that you can cancel the consent of the processing of your data at any time. Therefore, if you wish to terminate the processing of your data by CENARIWOOD, it will suffice to send a letter or email to the above addresses. Cookies are small text files stored on the computer of the Client or User through the browser, storing only information related to the user's preferences (generic information), thus not including the personal data of the user. The cookies used by CENARIWOOD observe principles of anonymity and confidentiality and are for the sole purpose of recognizing the user, not being used in any case to collect information that identifies the user, nor for direct marketing purposes. At any time, the user may, through his or her browser, decide to be notified of the reception of cookies, as well as to block their entry into their system. Attention is drawn to the fact that all browsers allow the user to accept, reject or delete cookies, in particular by selecting appropriate settings in their browser. 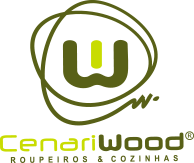 The intellectual and industrial property rights of this website and the different elements contained therein are the property of CENARIWOOD and are protected by Portuguese law, under the Copyright and Related Rights Code, the Industrial Property Code and other international treaties, copyrights or trademarks. CENARIWOOD does not grant any license or authorization to use any kind of intellectual property rights over any property or content related to this site, or any of the products provided to Users in it. Unauthorized use or exploitation or infringement of what is provided in this Legal Notice, the contents, services or any other rights that may arise from the Portal, will give rise to the exercise of the actions that CENARIWOOD deems convenient in defense of its interests. Access to and use of this website is governed by Portuguese law. The conditions of operation and use of this website are governed exclusively by the laws of Portugal, and the court competent to resolve any disputes is the court of the headquarters of CENARIWOOD, with waiver of any other. In the event that any or some of the provisions of these Terms and Conditions are found to be partially or wholly invalid, unlawful or ineffective by a competent authority, such provision(s) shall be considered null and void(s), and the remaining provisions remain valid and must be complied with, in accordance with the law.